Well, here’s one thing I missed: Nintendo unveiled the controller for their next-generation console, the Revolution, over the weekend. And it looks… well… it looks different. It looks blocky and basic - like an extremely simplistic DVD remote control. But it’s not the looks that matter. If the DS has taught Nintendo nothing else, it’s taught them that they can sidestep the Xbox 360 vs Playstation 3 one-upmanship and make innovative, entertaining games by exploring other possibilities - shifting the emphasis from the “games” to “playing.” What’s more, it’s taught them that these games can be made for a fraction of the budget of games on other platforms. This seems to be a lesson that they’ve learned well. Although the Revolution will certainly be powerful enough to churn out some staggering amount of polygons, it seems as if a lot of the emphasis will be on small ‘parlour games’, a la Wario Ware or Mario Party. Things like EyeToy and Singstar were great ideas and encouraged a lot of people to play games that wouldn’t normally because they were easy to pick-up-and-play - a quick burst of fun, rather than an epic challenge. But because these were niche accessories, they weren’t catered for to any great extent. 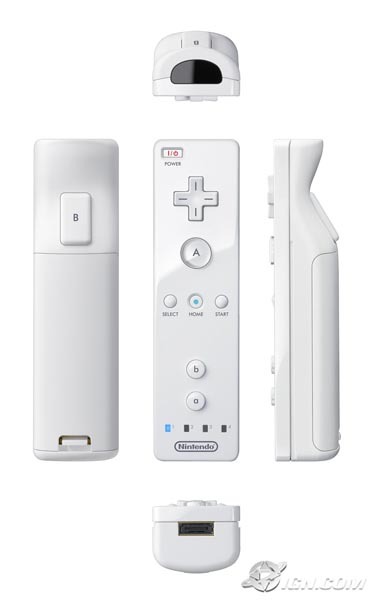 Since this is the primary controller for the new Nintendo console, there’s no fear of it being relegated to that sort of niche status. And this is the other important lesson here: games have, essentially, plateaued. Let me explain. My girlfriend is someone who has never played games, and she’s not going to start now. It’s not because she doesn’t like games, she does. She recently completed and enjoyed Silent Hill 2, but only through a system where she took on the puzzle/exploration parts, and threw the controller at me for action parts, or anything that required precise control. And that’s the lesson here: unfamiliarity with controllers is a major barrier to entry for new gamers. Once again, we can give the example of EyeToy as an example of something that worked because people could play it without requiring the type of muscle-memory that gamers have built up through years of practice. But Nintendo aren’t just courting a new market with this idea. With this new controller, it opens a whole range of possibilities for people who are more familiar with games to engage them with new a new way to experience familiar games. For example, playing First Person Shooters like Doom 3 with the long, remote control-style stick acting as your gun or torch and direction controlled by the analog thumbstick. According to the IGN hands-on, this set-up is more intuitive than any currently-existing system. But all this yapping won’t really do much good. 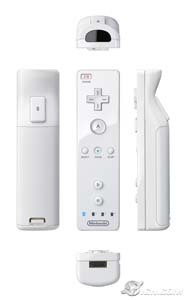 For a much better glimpse of what Nintendo have in mind, you should check out their promo video, which gives you an idea of the various uses for the controller.